Most people, I believe, secretly love their fear. They get caught up in the goose bumps and the quick inhalation of breath and the rush of adrenaline that pervades the body when being scared. Why do most people laugh immediately after a good scare? I think the body loves it. To this effect, I love horror movies. Many nights, my wife and I spend an inordinate amount of time scrolling through Netflix’s often dismal offerings, debating on which movie to watch. Usually, though, we settle for a movie from our own collection, a movie with a proven track record of terror and brilliance. My first choice is always John Carpenter’s The Thing. The Thing is a masterpiece of terror. It’s an overwhelmingly eerie movie about a group of researchers stranded at an arctic outpost where an alien entity is claiming them one at a time, but so surreptitiously that no one knows whom he can trust. It’s truly terrifying. Good horror movies are the catalyst for nightmares. But in searching for the best horror movies, I find that most websites only list films made in the ’70s and ’80s. Rarely does a movie from the ’90s or 2000s make its way onto someone’s list. A few do, but the numbers are limited. So what makes a movie scary? How does a movie cement its fear into a viewer so that he/she wants to be scared a second, third or tenth time? Personally, I have no clear answer. The best scary movies (besides The Thing) are The Shining (Kubrick’s version), The Exorcist, Halloween, In the Mouth of Madness, 28 Days Later, The Ring, An American Werewolf in London, Texas Chainsaw Massacre and Event Horizon. They always give me chills and are worth the price of admission, even if it leads to dark dreaming. Perhaps these movies work best due to their overpowering creepiness. The desolation of the Overlook Hotel in The Shining still terrifies me. 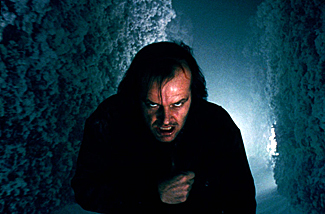 Of Kubrick’s many changes to Stephen King’s novel, the one that worked best was the conclusion where Jack chases Danny through a snow-filled hedge maze. The idea of being chased by a madman with an axe is enough to keep most people awake at night. Great horror movies have an irrepressible feeling of foreboding, a feeling that pervades the movie and seeps into your bones. Regardless of The Thing’s gore, the movie comes nowhere near the level of butchery that has come to imbue recent horror movies. What makes The Thing so scary is its methodical storytelling and abnormal creature designs. Carpenter has a way of taking something that is natural to the eye and distorting it to a level of physical discomfort. Even to this day, I can’t watch Bennings’ death without groaning in disgust. The same can be said for the rest of the movies I love. They work by spreading fear like a light mist, keeping viewers consistently uncomfortable. They don’t achieve their goal by having something jump out of the darkness. Instead, they inundate the viewer with a continuously oppressive tone, one that never makes any moment feel safe. Because the jump scare, while still entertaining, is nowhere near as effective as the mood-heavy horror. Jump scares are good for their initial effect, but they wear off on repeat viewings. 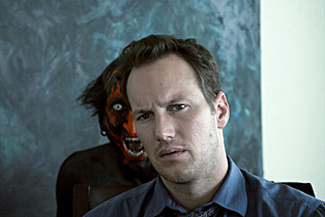 I loved Insidious the first time I saw it. I flinched my way through the movie and dealt with the nightmares it gave me afterwards. But now, the movie doesn’t have the same impact. It’s nowhere near as terrifying, especially when you know where all the good scares occur. The use of gore is also a tactic that misses the mark of good horror. Rob Zombie, whom I admire for a multitude of reasons, remade Halloween, amping up the violence and action. But the original Halloween is a slow burn, a movie that makes open spaces feel like traps waiting to be sprung. Granted, my horror scope is limited. I haven’t seen the Hostel movies, and I have no desire to watch The Human Centipede. The descriptions I’ve heard are enough to keep me away. But these are movies that pushed the envelope for the express purpose of pushing the envelope. They achieved their goal, but again, they don’t fall in the pantheon of great horror. So where is the fear? Why has it gone? Maybe our society is too desensitized to fear. We live it. 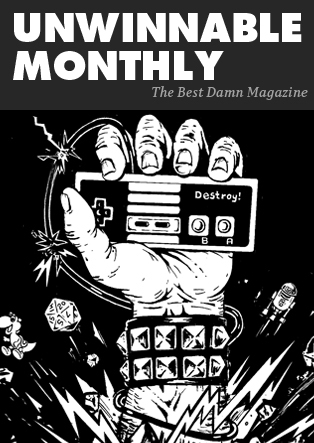 Watch the news – it’s everywhere. Movies, therefore, need to create artificial fear with outlandish situations and extensive violence. They try to gross viewers out or make them jump rather than give them a situation to which they’ll want to return again and again. Maybe it’s because of our technology; there’s nothing we haven’t seen and so movies need to create a brand new situation. Maybe the real reason is that our society is losing its subtlety. We need to be told what’s funny, when a trend is occurring and how we should be spending our money. In a world where people need cues to know when to laugh, perhaps there’s no room for a movie that wants so badly to get inside your skull rather than kick you in the forehead. I don’t weep for this future, though. Life is cyclical, and eventually horror will turn back to its glory days and return to its roots. We’ll never have another movie like The Thing, but we’ll get a worthy sibling. Because for every fan of Paranormal Activity, there’s a lover of Event Horizon, or 28 Days Later, or The Shining. In the meantime, I’ll fire up my PS3 and watch The Thing for the eleventh time this year.